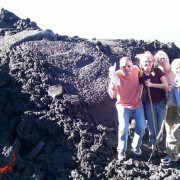 “We liked the trip very much, Hugo was excellent! We liked very much. The hotels and the best rooms we got. We really appreciate your choose of the best hotels for us. Laguna Lodge at Lake Atitlan it was really something special and attractive. Sarit had a perfect birthday and we have the best anniversary ever before. We will send you pictures and more important Sarit is going to write in the magazine in Europe about the beautiful trip in Guatemala with Guatemalan Adventure Tour Operator. 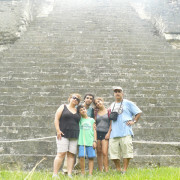 “In the name of my family, I want to thank you for the amazing trip you organized for us in Guatemala. You promised that we will be in good hands and that is exactly how we felt. Especially we want to thank Hugo Gutierrez that was our guide and driver and did his job perfectly. Hugo has a huge amount of knowledge about all the sites that we visited, a lot of patience and good will. We felt very relaxed when Hugo was around us and we always felt comfortable to ask for his help no matter what was the issue, small or big. Hugo always arrived exactly on time to all the meetings we set with him. We couldn’t dream about a better guide than him. 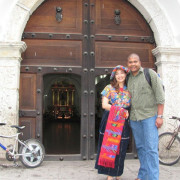 “I am about to depart beautiful Guatemala, and I want to thank you for putting together such a full and wonderful trip. I truly had a Guatemalan Adventure that I will keep in my memories forever. Thank you for the care and attention to detail that made this trip so enjoyable. 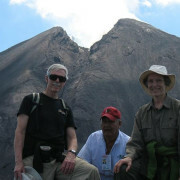 “Our experience in Guatemala was wonderful. Mirko was an excellent guide, and we are very happy to have spent time with him. Our driver Hector, was also great to work with. Our whole group enjoyed Guatemala, and the tours were much appreciated!! I will send you a few pictures soon. “Thank you very much of everything. We were very very happy to have Armando as our guide. He is a good guide and good driver,knows a lot of things,want so much to help and to give the best feeling. He is very open minded to our needs. We loved Gutemala, enjoy every minute. “Indeed, we had a great time in Guatemala. We enjoy our stay a lot. We found Armando very cooperative, he fulfilled all our wishes. Always on time, showing, teaching, ready to answer our questions and to share his knowledge. He took us to places that we never had been able to reach without him. **Some of the pictures don´t belong to the testimonial published.